​With having a four ramp multi make service centre we offer; Clutch repairs, Timing belts & chains, dealer warranty servicing (O.E Quality Parts), interim/full service, brakes, exhaust's, welding and more! No job is too big! we stock a wide variety of tyres on site ranging from budget to premium brands! ​so give us a call and let us give you a quote! 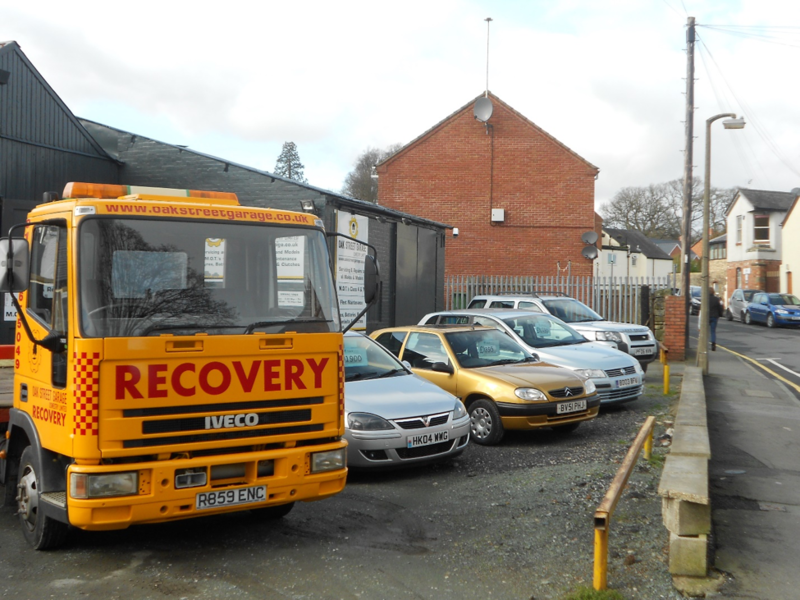 We have our own 7.5-ton recovery vehicle on site! so we can collect and deliver your vehicle if required! we can even come and get you if you are stranded! Just give us a call. If your car won't start because of a flat battery, we keep a large stock of replacement batteries on site so we can come to you and fit your new battery whilst you wait and get you back on the move! As we have our own 7.5-ton truck we offer an on-site six we check on commercials with repairs and servicing available. Who could forget about the waiting room? Whilst we are repairing or servicing your vehicle you take a seat an relax! You can even watch your vehicle being worked on! If you have any of the below symbols on your car dashboard, call in at Oak Street Garage! We have the latest tech to log into your cars memory and tell you what is going on!